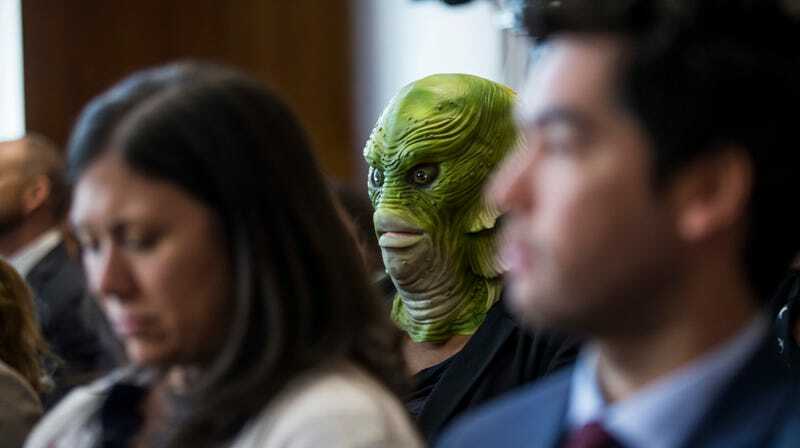 A mystery woman found a unique way to silently protest the confirmation hearing of David Bernhardt, a former oil and gas lobbyist (!) who President Trump has nominated as Interior Secretary. Ryan Zinke Thinks Robert E. Lee Is Really a Lot Like Martin Luther King Jr.